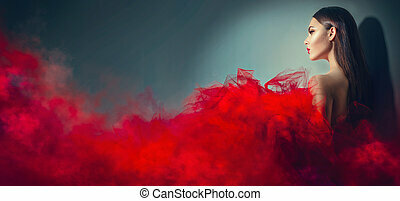 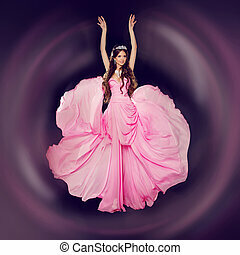 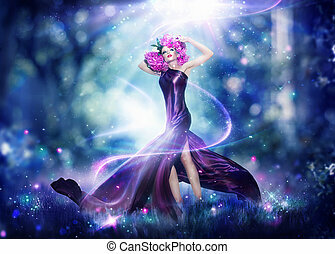 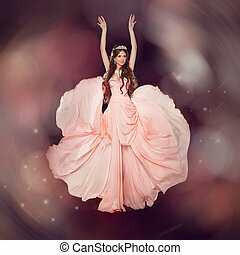 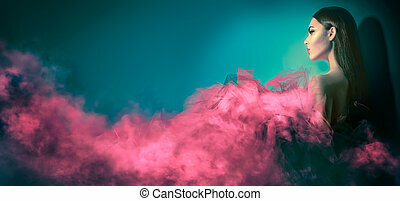 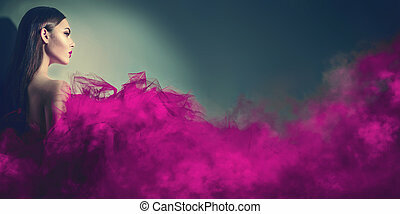 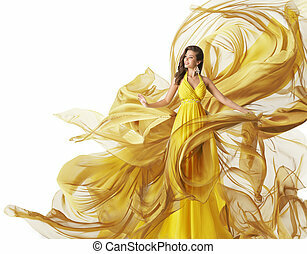 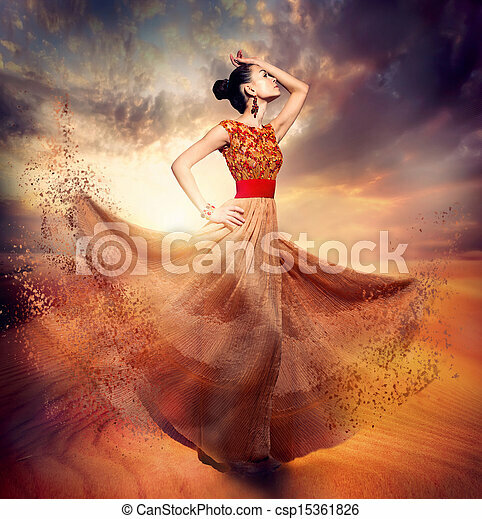 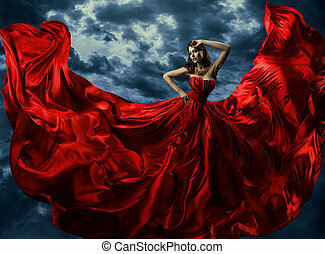 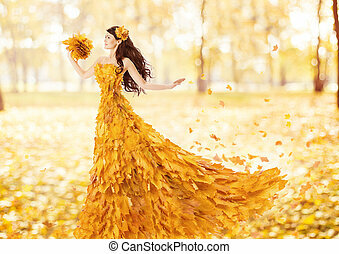 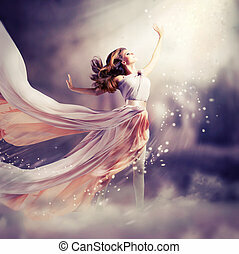 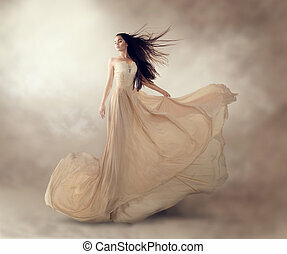 Dancing fashion woman wearing blowing long chiffon dress. 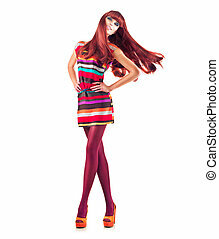 Photo of beautiful woman with long blonde hair, wearing fashionable dress, looking at camera. 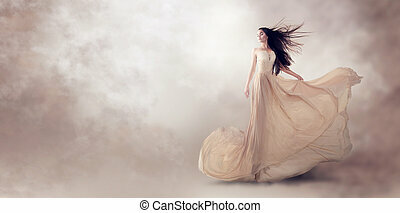 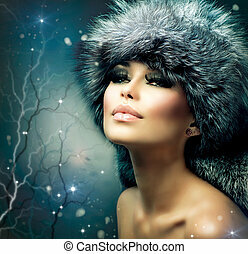 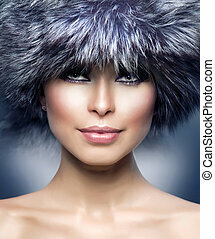 Hobby, idyllic aspects of femininity concept. 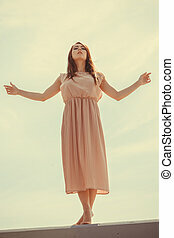 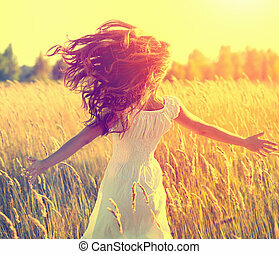 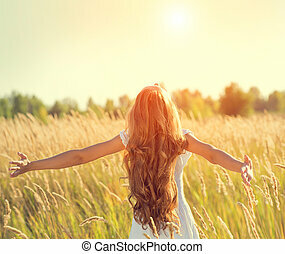 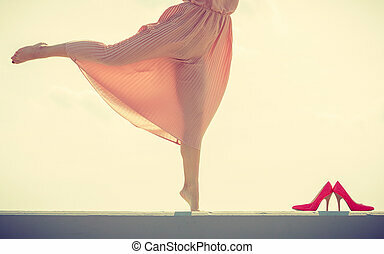 Woman dancing on jetty without shoes wearing beautiful long light pink dress.